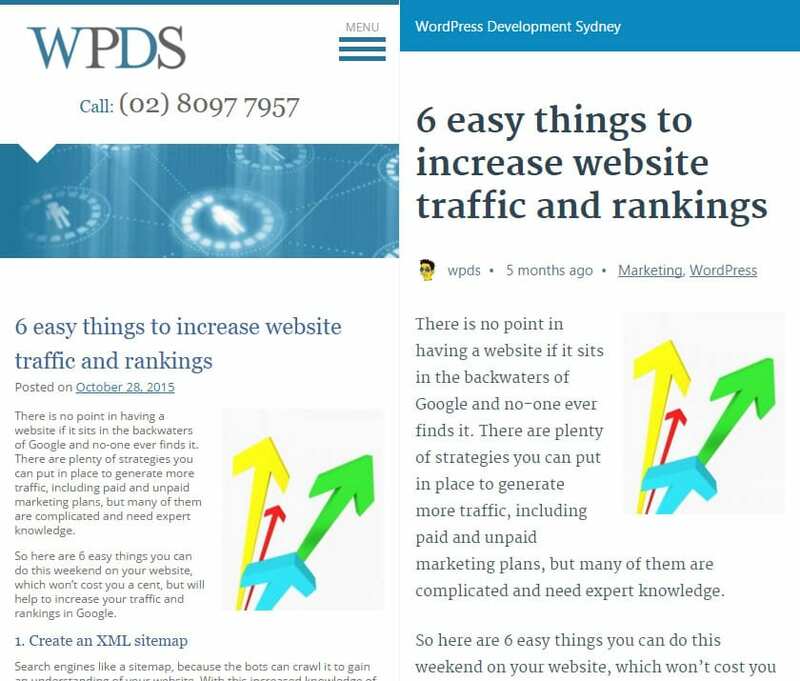 What is AMP and why does my WordPress site need it? In the every increasing world of acronyms another has crested the horizon and this one could be pretty important. AMP or Accelerated Mobile Pages is an initiative from Google to provide optimised, super fast content on mobile devices. AMP is an open source initiative that embodies the vision that publishers can create mobile optimized content once and have it load instantly everywhere. This specification has a new form of HTML called AMP HTML (funny that) that is very similar to traditional HTML but with some tags removed and others replaced with AMP specific tags. You are also required to include the AMP JS library which implements specific optimisation on AMP pages. So the overall goal here is to make content on websites fast, lightweight and also easy to cache and distribute making the experience on mobile much better. So how do you make your site AMP compatible? Thankfully Automattic (the makers of WordPress) have taken up support for AMP and released a plugin for self hosted (.org) WordPress websites which is great. The main issues with the plugin are it only supports the standard Post object and the output from the plugin is very plain. So if all you want is a quick and easy way to make your blog posts AMP compatible you can install the plugin and move on but this is not presenting a great experience to your users and not matching the hard work and consideration you put into the design and layout of your website. You could argue that this is (in some ways) an inferior experience even if a faster one. Thankfully it is possible to customise the output and styling of the plugin but it does require you to get your hands dirty with code. It requires overriding the included template files within your theme and applying some filter functions. This way you can then customise the output to deliver a similar user experience than your existing mobile friendly view. It is also possible (with more custom coding) to make other parts of your website (think pages, custom post types etc) to be AMP compatible and hopefully this will be something added into the plugin over time or offered by other plugins currently being developed. Maybe, maybe not. Being created by Google and already supported by some big players like WordPress (that powers over 25% of the entire internet) this technology may gain legs fast. Personally I think anything that is designed to deliver more optimisal user experiences is a good thing but this feels like yet another technology and platform that requires implementing and supporting. Through good design and development practices it should be (and is) possible to deliver optimised experiences for mobile devices by creating optimised code, presenting optimised and responsive images and trying to make your overall website lean and fast. I guess we will have to wait and see whether this technology lasts, but at least there are some relatively easy ways to implement it on your website. If you would like help understanding AMP and implementing it on your WordPress website why not give us a call on 02 8097 7957 for a chat.